Seamless pattern of colored cubes. Endless multicolored cubic background. Cube pattern. Cube vector. Cube background. 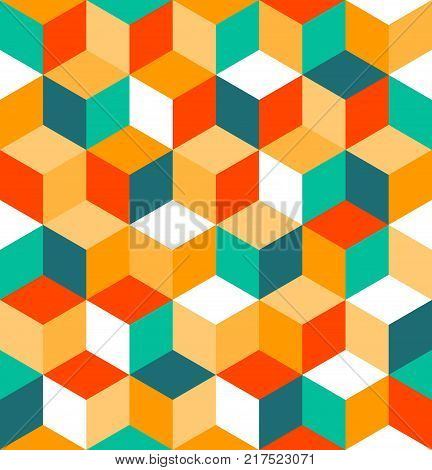 Abstract seamless background with cube decoration.